When we pressure wash your home, deck, patio, walkway, driveway, fence, or anything you need wahed up with a pressure washer, you will get a crew that will take their time, and do it right the first time. When we clean out your gutters, we will hand pick the debris out of your gutters to place it onto a bag. This will leave very minimal mess in your yard. We then flush out your gutters with a garden hose and make sure your downspouts are flowing properly. 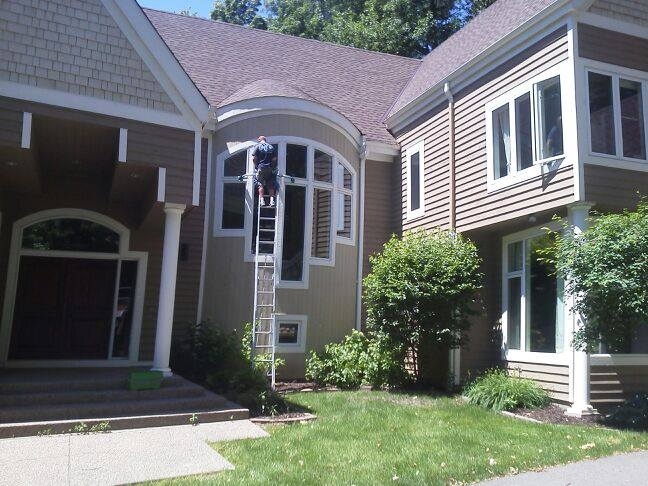 If your downspouts are clogged, we will unclog them for you!